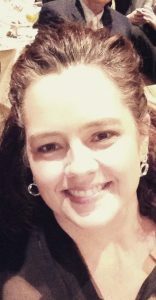 Kristie Renae Godwin Rolan, 46, of Cary, passed away Wednesday, August 16, 2017 at Duke University Medical Center in Durham after a 2 ½ year battle with breast cancer, and was welcomed into the loving arms of her Lord and Savior Jesus Christ with her loving family by her side. Kristie was born September 3, 1970 in Durham, NC to Ken and Johnnie Godwin. She was preceded in death by her grandparents, Buster and Juanita Godwin and John and Ruby Dickerson. 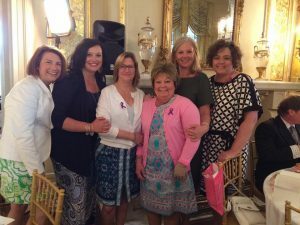 Kristie is survived by her husband of 22 years, Jeff Rolan; sons Dane (18), Cole (16) and Holt (9) Rolan; parents, Ken and Johnnie Godwin; sister, Jessica Greco (Carmine); brother, Ken Godwin, Jr. (Christina); mother-in-law, Brenda Ingram (Mike); father-in-law, Terry Rolan (Linda); brothers-in-law Steve and Jason Rolan (Sandra), and many aunts, uncles, nieces, nephews and a multitude of friends. Kristie graduated from Northern High School in Durham and the University of North Carolina at Wilmington with two degrees – BS in Business Management and BS in Marketing. She was a member of Apex Baptist Church and her priorities were her Lord and Savior and her family. She was the most Christ like person you would ever meet, so full of grace, and loved everyone. To know her was to love her. She loved nothing more than being a wife and stay at home Mom for her three sons. 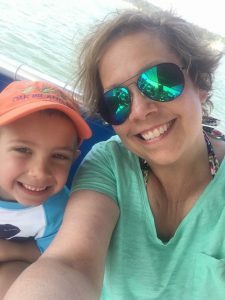 Through her ups and downs with breast cancer, Kristie would always say “God is in control.” We did not say good bye to Kristie but rather “We will see you later.” She will be terribly missed. The family would like to thank Dr. Kimberly Blackwell and her team at the Duke Cancer Clinic for their care of Kristie and never giving up. Dr. Blackwell was persistent in her treatment of Kristie and always had another care plan in waiting if need be. Unfortunately, Kristie’s liver could not hold up to all the medications and her aggressive cancer. 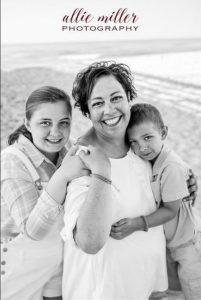 Laura Salley, 43, died July 3, 2017 after a courageous battle with metastatic breast cancer. The disease that took her life is the same one that she worked hard to help others fight during her 20 years as a radiation therapist. Breast cancer did not define Laura. She is remembered by friends and family as loving and selfless wife and mother, a beloved daughter and sister. Laura had a beautiful smile and her love of life and sense of humor were contagious. She and her husband Chris shared 23 years and he loved every moment of their time together. Her family describes her strength as one they’ve never seen before and will keep their promise to her to live life to the fullest, never sweating the small stuff. They will never forget their angel and hero. In addition to her husband Chris, Laura leaves behind two beautiful children, Mackenzie and Avery whom she loved beyond measure. She is the daughter of Maxine Stines and the late Felix Stines, and the sister of the late Tony Stines. Other survivors include brother Chris Stines and wife Candy; brother Kevin Stines and wife Alison; niece Ashley and nephew Ian. Laura was a graduate of North Gaston High School and Queens College where she earned a bachelor of science in Radiologic Technology.